The 2016 Glastonbury Festival kicks off in Somerset in the UK, with plenty of Australians among the massive crowds gathering at Worthy Farm. What is the Glastonbury Festival? Believe that attending this world-famous music festival is not done without it’s challenges. There was heavy rain in the lead-up to the five-day festival that caused traffic chaos which turned much of the site into a mud slide. And needless to say a festival of this caliber had steep ticket prices. Why do Aussie music fans make the trip? 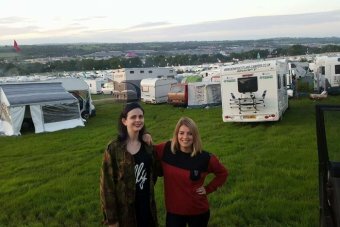 Elise Milward is from Brisbane and is attending her first Glastonbury Festival. She’s been travelling in Europe since January and said the opportunity to attend the iconic festival was too good to pass up. “In general if you’re someone who goes to festivals back in Australia like Splendour and Falls an international festival is always a dream and Glastonbury is right up there,” Miss Milward said. But what about the mud? The traffic? The almost 18,000 kilometres to watch a show? “It’s like why anyone does anything,” she said. There’s a good reason #glastonburytraffic has been trending on social media the last few days. How bad is #glastonburytraffic? Well, its taken 11.5 hours to travel 7 minutes…. Festival-goers have reported being stuck for over 25 hours trying to make it to the site. “We heard one girl who was allegedly 18 minutes away but her GPS had been saying this for 5 hours,” Miss Milward said. Miss Milward and her travelling companions delayed their trip until Thursday afternoon (gates opened on Tuesday), and said they’ve been kept up to date on the situation by festival organisers. “Luckily we’re towing a caravan so if it all goes horribly wrong we can pull over for a cup of tea and biscuit,” she said. 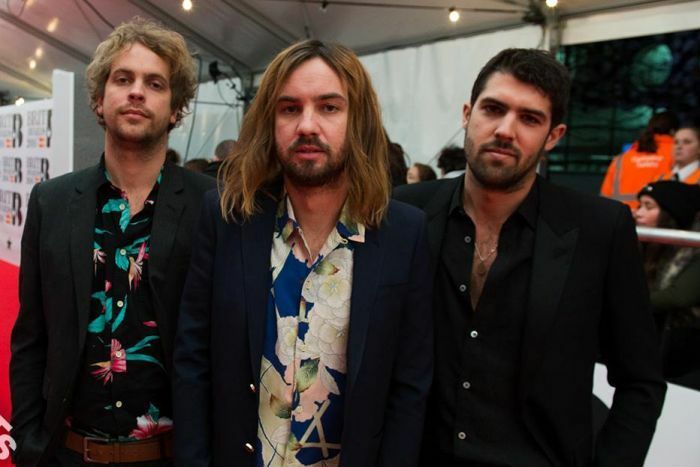 Australia will be represented on stage at Glastonbury, with indie-rockers Tame Impala and Matt Corby set to perform. Miss Milward said she and her friends were hoping to kick-start another ocker institution when they link up with the thousands of Australians who’ve made the trip this year. “I guess I’m just assuming that half the population of Perth will be there watching Tame Impala and then we’ll all sit around talking about that time that Matt Corby was on Australian Idol,” she said. These girls are a proof that if you want your dream to happen, you’ll do whatever it takes to make it happen.